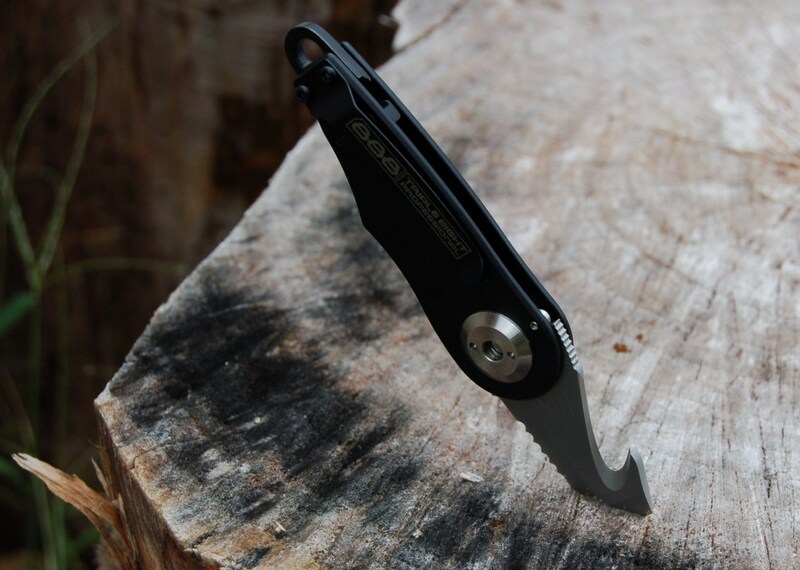 I've previously tested the Triple Eight Professional SOL Knife. The SurvivIt Tool is more versatile, and a bit more robust. 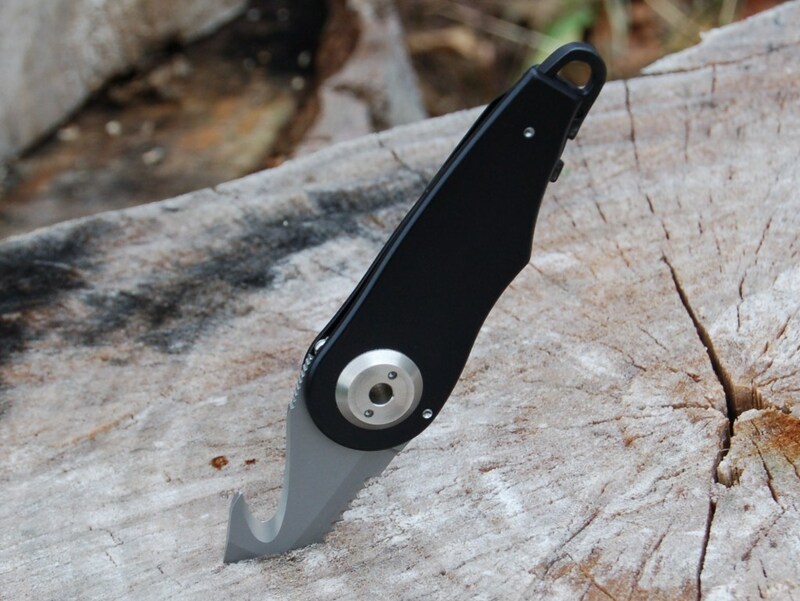 The blade is AUS8 steel, and the handle is epoxy-painted steel. It's assembled with machine screws and good quality pivot and fittings, so maintenance and repair is easy, though I don't expect it will need much. The edge was not quite as sharp as I like, and I had some trouble cutting leather thong with the hook. The serrated section, however, as short as it is, zips through heavy nylon, leather and plastic easily. 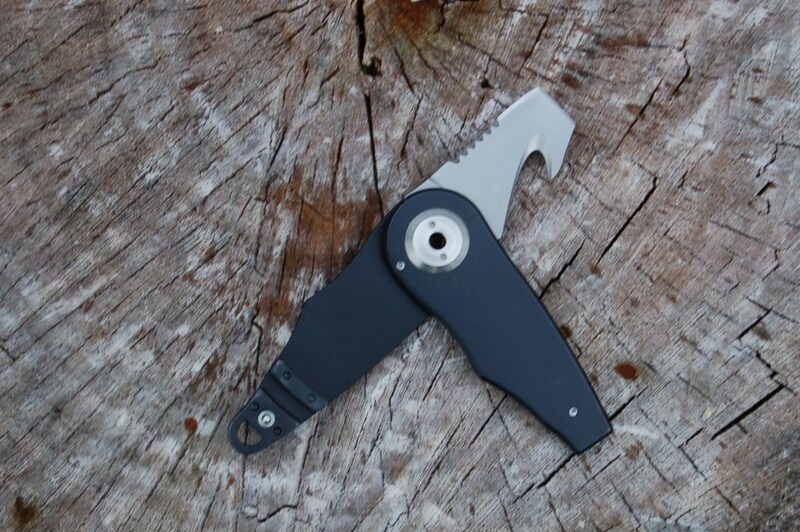 The handle is tiny, but comfortable enough even in my largish hands, and is well-designed. I tested it in a hammer grip to chisel, in a standard grip to shave and whittle, and in a side grip for both drawing cuts and scraping. The edge geometry is excellent, and I was able to jab the blade well into various woods, both in the woodpile and on treated lumber in the shop. It sliced into wood corners easily, sawed twigs, and scraped tape, bark and leather. 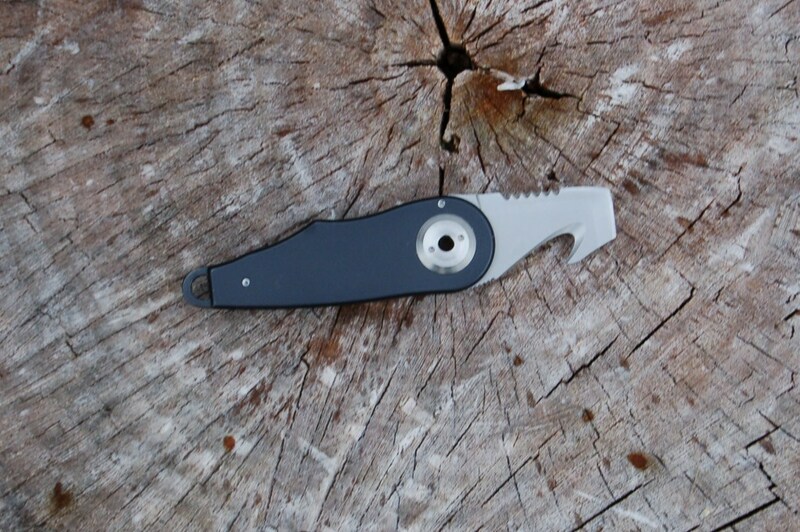 The mechanism is strong and sound and remains in place while the knife is held. Keep in mind there is no guard. 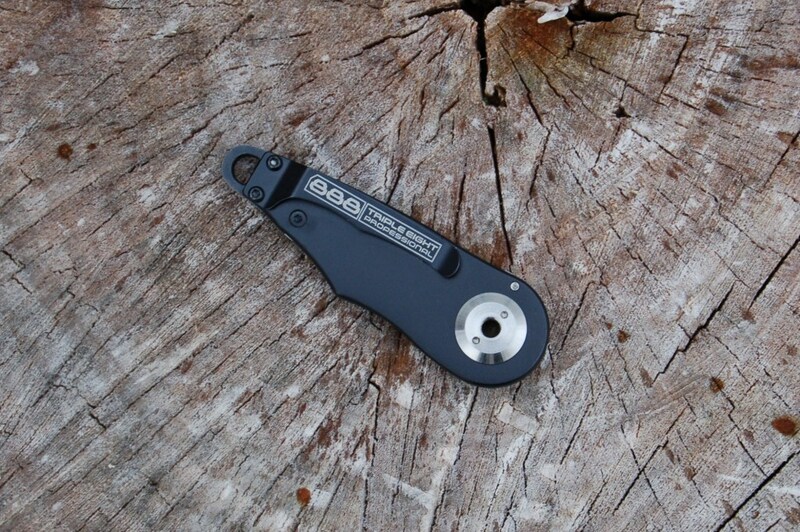 This is a compact tool, and its diminutive size means there are some compromises necessary. Once you have a good grip, it remains easily in hand and is safe to use. Just don't get careless. In addition to the belt clip, there's a convenient thong hole for either neck carry, or just for a retention cord. The MSRP is $34.95, but is usually available for less at most retailers. NOTE: I was furnished one free for test and evaluation, which I am keeping for personal use.